An unknown group has reportedly entered armed conflicts in Ar-Raqqah Governorate in northern Syria, assassinating leaders of the al-Qaeda-linked Islamic State of Iraq and the Levant (ISIL) in a remarkable way. Military sources told the shamtimes.net news website that the governorate has witnessed sophisticated terrorist activities. The ISIL, which is mainly based in the cities of Raqqah and Aleppo, is responsible for the killing of hundreds of people and is regularly engaged in clashes with other foreign-backed militant groups operating in Syria. 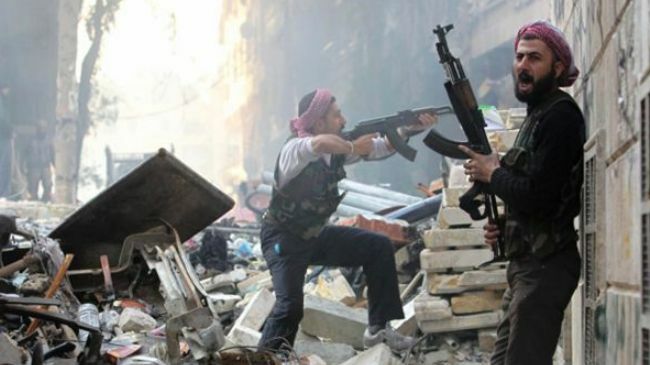 The Takfiri militants started to withdraw from the northwestern city of Aleppo and several other areas in the region on Friday, February 28, just ahead of a deadline set by the rival al-Qaeda-linked militant group al-Nusra Front. Syria has been gripped by deadly unrest since March 2011. Millions have been displaced due to the turmoil. According to reports, the Western powers and their regional allies — Qatar, Saudi Arabia and Turkey — are supporting the militants operating inside Syria.